« The fate of the Blogfinger bull….. The George Washington University Hospital, Wash. D.C. c.1966. Photographer Bill Adams, MD. Medical school obstetrics rotation. What a thrill! 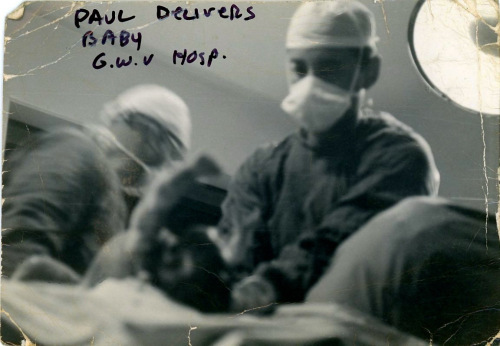 Paul once delivered a baby in a cab on Madison Avenue in NYC. An enjoyable read! Nostalgic for my years of nursing school where students rotated through the many specialty areas; gaining experiences that would be refined & remembered years after graduation.